Either you are fresh out of university or seeking a better career opportunity – how to get noticed by hiring managers is an art (but of course it is also science). Maybe one day you open your inbox, you see an email about a job listing that describes your dream job. There comes a mixture of excitement and anxiety because you want an interview so bad! There is one thing you should understand—when a job vacancy is posted online, there are hundreds or even thousands of wolves hungrily staring at it just like you. Therefore, standing out and getting noticed by the hiring manager is extremely important. Read on to find out 5 tips for landing that perfect job interview. Before the war commences, you need to be sure you have the weapons and skillsets that the battle requires in order to win it. Do you have a good idea what this title entails in terms of responsibilities and expertise? Google is a great help on that. Before you send out your CV, give this title a good throughout amount of research and find out what will be asked from you and uncover any aspects that you were not aware of. I have been suggested by one of my friends to lie about who I am and what I can do in a resume. Keep in mind that you should never do that. Honesty is not only something a company looks for, but also something we should retain our whole life. The consequences could be detrimental if the company somehow found out you lied in your CV or interview. You should rearrange and highlight the most important information and the key skillsets you have that meet the requirement perfectly. 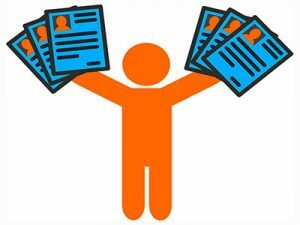 Hiring managers receive hundreds of resumes for just one job title and they usually only give a resume a quick skim-read. Yes, this is how little time you have to make the first impression. I can’t emphasize this enough. 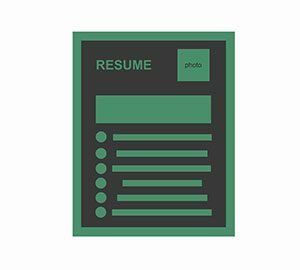 A professional and interesting resume is the key to standing out and nailing a job interview. It is a great idea to build a closer and deeper impression by inserting a professional looking shot into your CV. Ditch that selfie stick and never use it for a head shot in your resume. Consider paying a photographer for a corporate headshot. If you don’t have much of a budget, check if you have any hobby-photographer friends who can help you with that. Secondly, how do you make it interesting? One thing you can modify is the title of your resume. Drop the titles like “Resume”, “Document 12 John Mayer”, “CV Sandra M 1024”, for they look and sound boring. This is how you do it: “Katherine Baker for Front Office Manager”, “Sales Professional Martin Sanders”, “Oscar Winter—Ambitious Outlet Store Manager”. Usually, the more creative the position is, the more creative your resume and headline should be.